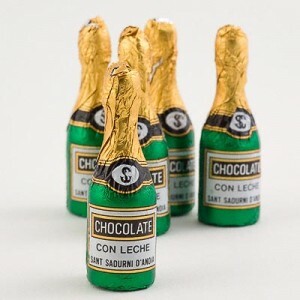 These cute milk chocolate champagne bottles are ideal for putting into your baby shower favour bags or party boxes. Individually wrapped in champagne bottle themed foil. 8g in weight and 6cm tall x 2cm wide (across bottom of bottle). 64p each so you can order the exact amount that you require.